1. There is a tall stone tower stuffed full of books, manuscripts, and ancient scrolls. All have a thick coating of dust on them, and none have been touched in ages. But now, somebody is walking through the halls, narrow eyes scanning the shelves......Who are they? Why are they there? 2. Describe the paths of/through your brain and imagination. 4. He never did finish his dinner. 7. "I wonder how much time they have left?" 8. Write about your character's boiling point. 9. Describe a setting (like a restaurant) before, during, and after something occurs (like a child's birthday party). 10. I wasn't that convinced. Well, that's all for today! :) Hope these writing prompts helped, and remember that you are all indeed very beautiful pickles. Ooh, great! 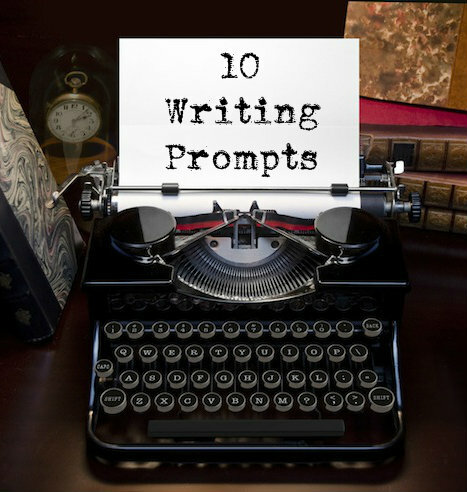 I love writing prompts! Also, sorry I've been kinda MIA. I'm in a local play, and dance is wrapping up, and then recital is soon, and graduations, and I'm sick....I've kinda had a lot going on. I'll try and comment more often. Thank you! That sounds really interesting. These are so good, they kinda make me want to write now. Thank you so much! :) I'm glad. I love your blog, just saying. :) Everything about it is just...wonderful. Keep up the awesome work! Thank you! :) I'm glad I could help!